Registration begins at 6:30 p.m. Bowling 7:00 to 10: p.m. 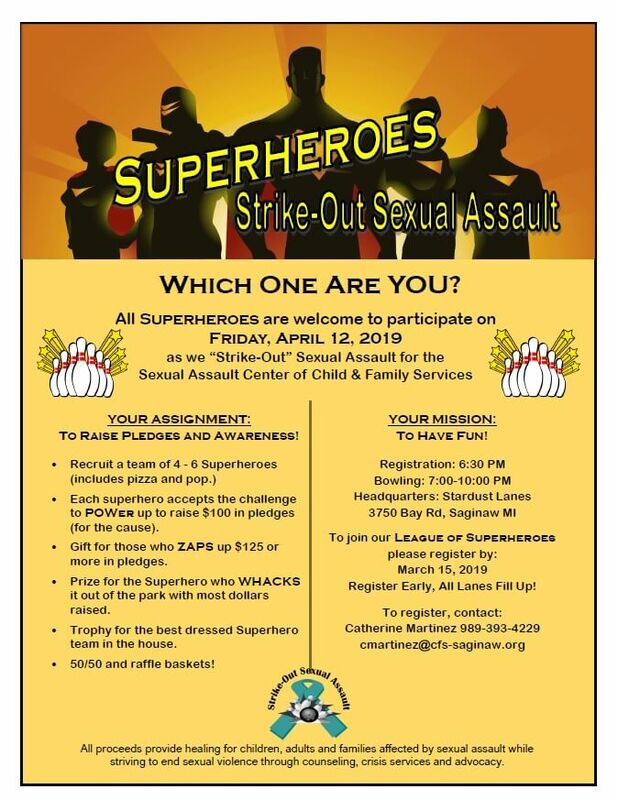 This is your chance to be a superhero to sexual assault victims. Join us for a fun night of bowling, raffles and 50/50 drawings.